Synopsis: We are the Liars.We are beautiful, privileged and live a life of carefree luxury.We are cracked and broken.A story of love and romance.A tale of tragedy.Which are lies?Which is truth? 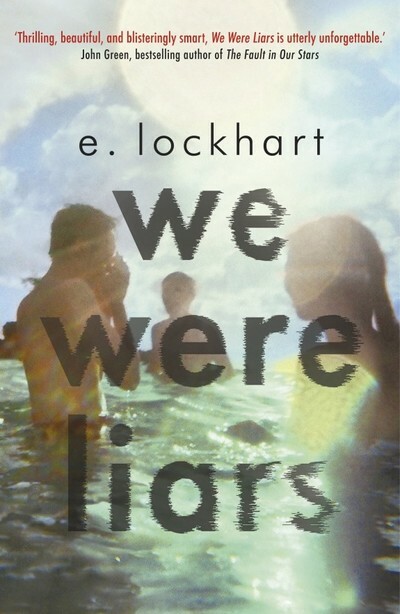 E. Lockhart’s much-anticipated, much-hyped We Were Liars is a bit like an Agatha Christie detective novel, in which the crime slowly gets recounted until, finally, everyone understands. Except, in this case, the crime is a tragedy that befalls the prodigious and in-fighting Sinclair family; and Cadence cannot remember what happened. The truth of the tragedy lurks in the foggy recesses of her mind, but since waking up hypothermic on the beach of their private island, all recollection of what drove her there has vanished. What struck me about We Were Liars was the juxtaposition of the physical freedom and mental claustrophobia Cadence’s narrative conveys. Spending every summer on their island, the Sinclair kids have pretty much all the freedom they could ask for, roaming from house to house and beach to beach. Yet when it comes to matters of the heart, the family is secretive, false and emotionally claustrophobic; a family of pretences. The dichotomy between the two manifests itself in Lockhart’s wonderfully lyrical and intense prose, which both feels like free verse poetry and conveys the constrictive nature of Cadence’s own mind. The strength of We Were Liars comes from the slow unravelling of truth as Cadence gently begins to remember flashes of events; it’s the hazy middle-space between the truth and the lies that make We Were Liars a tense and addictive read. There’s a sense that the book is stronger before its shock ending, in the layers of ambiguity: as soon as you rob it of its mystery it loses its urgency. Like all books, We Were Liars is best read without any preconceptions; but it’s definitely worth a crack. What did you think about We Were Liars? I’ve picked this book up repeatedly and always put it back on the shelf… I don’t believe in hypes, and this just looks like one of those books again. Also, I don’t seem to *get* e. lockhart’s style much, I didn’t particularly like Frankie Landau Banks either and everyone seems to really like that one…So maybe..maybe, when I have nothing else around I might read it. I agree about the hype; I find the best course of action is simply to pretend it doesn’t exist and come to the book with zero expectations! Of course, can be quite hard to do.